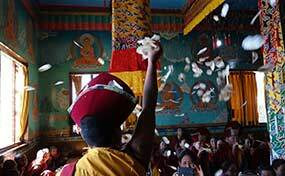 Chokyi Nyima Rinpoche and Tulku Urgyen Yangsi Rinpoche gave the exam results to our monks at Ka-Nying Shedrub Ling Monastery. 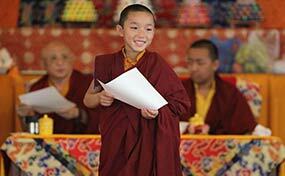 Today Chokyi Nyima Rinpoche and Tulku Urgyen Yangsi Rinpoche gave the exam results to our nuns at Nagi Gompa Nunnery. 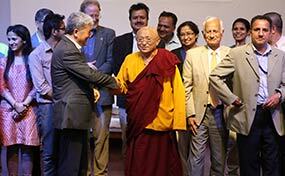 On Tuesday, at the invitation of the Vice Chancellor of Kathmandu University, Prof Dr. Ram Kantha Makaju Shrestha, Chokyi Nyima Rinpoche addressed over 300 senior faculty members, staff and students at the University's teaching hospital in Dhulikhel. 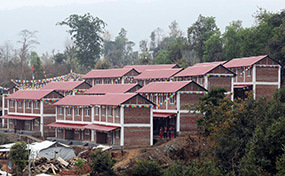 55 House Project for earthquake victims finished! After more than a year of intense work, on March 29, 2017 we inaugurated the fifty-five houses sponsored by Rangjung Yeshe Shenpen. 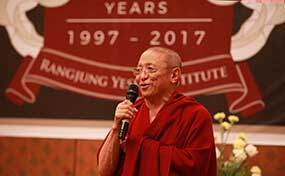 Last weekend Rangjung Yeshe Institute hosted the tenth international Buddhist Symposium and celebrated its twenty year anniversary. RYI’s Tenth International Symposium on Buddhist Studies streamed live! 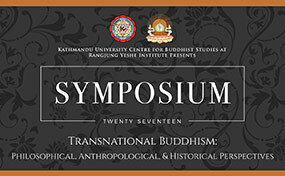 March 25 and 26: RYI's Tenth International Symposium on Buddhist Studies is web cast live! 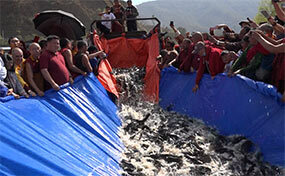 Today the Rinpoches and monks of Ka-Nying Shedrub Ling performed a grand life release of many thousands of sentient beings. Today six monks emerged from years of retreat. Some have concluded over three, six or even nine years of retreat! 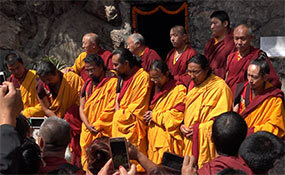 Chokyi Nyima Rinpoche, Chokling Rinpoche, Pakchok Rinpoche and Tulku Urgyen Yangsi Rinpoche led this auspicious ceremony at the Asura cave retreat center in Pharping. I offer my prayers and best wishes that you all may have a long life free from illness, and that your merit, experience and realization may flourish! 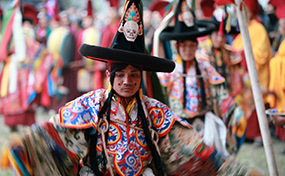 Lama Dances at Ka-Nying Shedrub Ling Monastery conclude the five day Vajrakilaya Puja held at the very end of the Tibetan Year. All obscurations and hindrances have been burnt in a large fire! 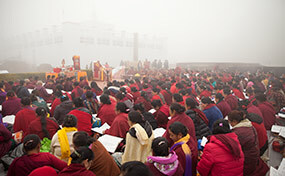 The yearly Ngakso (Ocean of Amrita) Drubchen puja of nine days held at Nagi Gompa nunnery from February 4 to 12 in the presence of Tsikey Chokling Rinopche, Chokyi Nyima Rinpoche and Phakchok Rinpoche along with the nuns and monks sangha as well as lay practitioners. Rejoice in the completion of our Himalayan sangha’s preliminary practice retreat!